Pixar is in an interesting place right now. After Toy Story 3 was released in 2010, Pixar entered something of a slump, releasing their most trivial effort with Cars 2 in 2011, followed by the decent but unspectacular Brave and Monsters University in the following years. Audiences began to wonder if Pixar had lost their magic touch by that point. Not only did their films fail to capture the high quality standard the studio is known for, but Pixar seemed to be falling back on sequels to the films of their heyday. 2015 saw something of a return to form for Pixar in Inside Out, the famed studio’s most imaginative and touching film to date. But Inside Out may have been a one-time return to form, as Pixar would release The Good Dinosaur later in 2015, which proved to be their first box-office flop, and returned the studio to more humble critical acclaim. 2016 will see the release of Finding Dory, the sequel to Pixar’s 2003 smash hit (and arguably the most popular film from the studio), Finding Nemo. On one hand, Finding Nemo is a beloved movie for a reason, and the fact that this sequel is helmed by the same filmmakers as the original is reassuring. On the other hand, Finding Nemo doesn’t exactly seem like the kind of film that needed a sequel, especially not this many years after the original. The Incredibles seems to be the one Pixar film most people (self-included) feel deserves a sequel, so the fact that we’ll also be seeing The Incredibles 2 in a few years’ time seems to take away some of the excitement from Finding Dory. Another cause for concern comes from the very concept of putting Dory – the deuteragonist of the first film – in the leading role. Yes, she was a great character, and she can certainly carry a story better than Mater ever could, but making the more comedic character the star the second time around is always a bit of a gamble. It can end up being a case of too much of a good thing, or overplay the comedic bits to the point of undermining the emotion of the story. It also doesn’t help that Pixar just barely got off the sequel bandwagon, and now seems to be falling right back into it in full force. The Toy Story sequels are beloved, but following up Toy Story 3 with Cars 2 and the admittedly-better-than-it-gets-credit-for Monsters University seemed to burn audiences out to Pixar sequels for the time being. Finding Dory is only the beginning of the re-emergence of Pixar sequels, with all but one of their currently announced films over the next few years being follow-ups to their movies of yesteryear. This all adds up to make Finding Dory feel like a risky move. Should it fail to live up to expectations, it could not only tarnish the legacy of the original, but it could turn Inside Out into a single work of brilliance amid an overall diluted quality for Pixar. I’m not trying to write-off Finding Dory before its release. Truth be told, I expect it to be a good movie. Cars 2 is the only Pixar-produced film so far that can be described as outright bad. And director Andrew Stanton’s previous films for Pixar (Finding Nemo and Wall-E) are among the studio’s most beloved, so the film is in good hands. But whatever anticipation I feel for Finding Dory clashes with some skepticisms, leaving my overall feelings toward the upcoming sequel to be more accurately described as “curious” as opposed to excited. 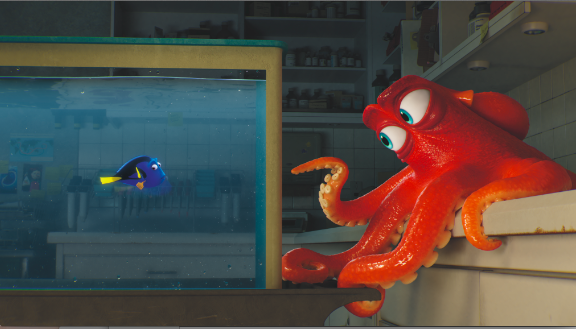 If Finding Dory rekindles the magic of the original, it will prove that Inside Out wasn’t merely a one-time deal, and that Pixar has reclaimed their throne in the world of animation. If it doesn’t, at least I still have Frozen 2 to look forward to. I hadn’t thought of the Dory and Mater parallel you drew. It makes a lot of sense and it makes me worry. Let’s hope for the best. Dory, despite being sort of a comic relief, is way deeper and more likable than Mater. I think Finding Dory will turn out ok. I can see this being great or mediocre. As you alluded to, an important thing to keep in mind is that Finding Nemo was a stronger film than Cars (and by extension, Dory is a much better character than Mater); there’s much more established goodwill with which a good sequel can be produced. After all, with rare exceptions, if a work isn’t great, chances are that the sequel isn’t going to be much better. The good thing about sequels is how you generally don’t have to waste as much time with exposition. Of course, that just means if you don’t have a story to tell, there’s a lot more empty space than if you had attempted to create something original instead.